What Exactly Is Going On With Janet Jackson's Divorce? 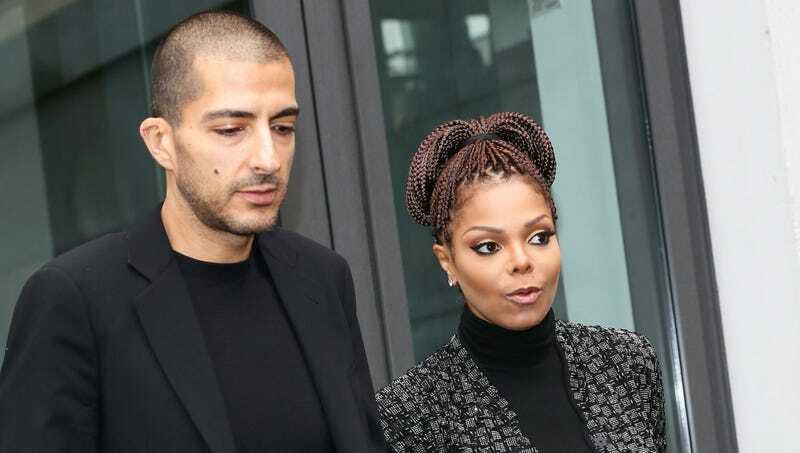 Janet Jackson is ending her third marriage with husband Wissam Al Mana after five years. Ordinarily, news of this kind would be met with a tepid shrug because now that Brangelina is over, nothing can surprise me. However, the story is growing some peculiar legs due to some probably false and typically misogynistic rumors about the timing of the divorce announcement and a supposed payout. Al Mana is extremely rich—billionaire rich. Janet Jackson, with a reported net worth of around $175 million, is, by most standards, also extremely rich. When two extremely rich people enter into a marriage they tend to sign prenups, which most assume Jackson and Al Mana did. As TMZ notes, many prenups include specific payouts to one of the partners tied to the length of the marriage. With the announcement coming just months after their fifth anniversary, some are speculating that Janet specifically held off filing for divorce until after the five year mark in order to receive a settlement. (It wouldn’t be the first time a celebrity divorce is rumored to line up with this kind of timeline.) The number that has been pulled seemingly out of thin air is a $500 million payout, which seems extremely high and, again, probably came from some bored meme-creator on Twitter. I find a couple things about this confusing. First, even for a billionaire, $500 million seems wildly excessive for just five years of marriage. I suppose you could argue that the addition of a child—Janet gave birth to their son on January 3 of this year—would sweeten the pot, but even then that number doesn’t make a great deal of sense. Secondly, Janet is wealthy in her own right and has the potential to make even more money if she feels like it. It seems odd and unnecessary that she’d get married and go through an extremely high-risk pregnancy just for some cash. I heard one theory that she got pregnant when she did to coincide with the marriage’s five-year mark so she could distract her husband before dropping the divorce bomb. Which, sure, is possible, I suppose, but that’s a lot of goddamn coordination when she could have arrived at a similar outcome in about 18 different ways. Of course, it could just be that two consenting adults decided they didn’t want to be in this relationship anymore and money or potential monies played no factor whatsoever. The NY Daily News reports the coupled faced issues coming from “entirely different backgrounds,” but will continue to raise their son together.